Proper nutrition is important for children in order to thrive and grow. 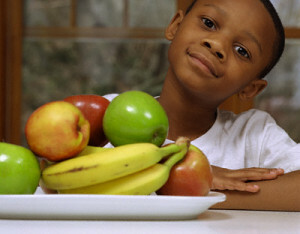 To make sure they get the proper nutrients it is important for children to eat a well-balanced diet. 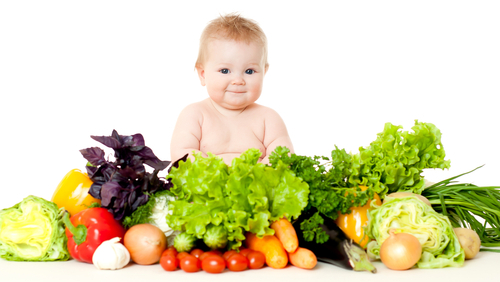 When determining what your child needs it is important to take into consideration their age, activity level, gender, and any specific dietary recommendations provided by a dietitian or doctor. Below is a table that breaks down servings for each food group based on age- (note: these are suggestions for neurotypical healthy developing children and may not be appropriate for medically prescribed diets). A great tool to use when planning out meals for your child is the My Plate developed by Harvard University. 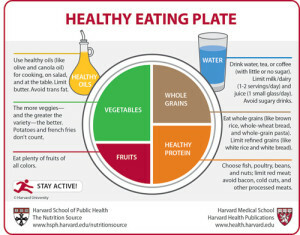 The plate serves as a great base for making balanced meals and it can be adjusted based on individual needs and diets. How much food your child needs is important, but the type and quality of food is just as essential. For example, items like pasta, bagels, and bread are all refined sources of grain. It best to select whole grains such as rice, quinoa, buckwheat, etc. over refined grains to help control blood sugar and optimize nutritional value. If your child is gluten free, choose high quality gluten free options for the above mentioned foods. When it comes to vegetables, variety is key in color and type. While potatoes are a vegetable, they act similar to grains in the body (turn to sugar) and should not count as a daily vegetable. Experiment with different vegetables to make your plate colorful. See our previous seasonal blog posts here and here for some ideas. Whole fruits are preferred over fruit juice to reach the required servings. Similar to vegetables, variety is important and dark colorful fruit such as berries are packed with antioxidants. Protein can come from a variety of sources like beans, nuts, meat, poultry, fish, eggs, tofu and tempeh. Dairy, although not included on the Harvard My Plate, can be a source of protein and other nutrients required for growth, especially for active children. When picking dairy products look for full fat or reduced fat options for milk, yogurt or cheese since non-fat dairy is missing key nutrients and can negatively affect blood sugar. If your child is dairy-free, there are alternative options available in most grocery stores. Finally fat sources should focus on quality. Select mono or polyunsaturated fats like nuts, seeds, olive oil, and avocado. Making sure your child is eating enough is an important responsibility, but this does not mean you have to meticulously measure food unless directed to by a professional. Ellyn Satter has done research on proper ways to feed children and developed what she calls the division of responsibility around eating. The parent is in charge of when, where, what is eaten, but the child determines how much and whether they eat. 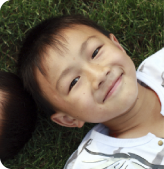 The parents prepare balanced meals and snacks, makes eating time pleasant, and models proper meal time behavior. The child eats based on what they need, learns to eat foods prepared by parents, and learns to behave well at the table. By combing Ellyn Satters principles with developing well-balanced meals, you can provide your child with all the tools they need to grow and mature properly. This approach works for many families though may not be appropriate for all.